An official of National Space Research and Development Agency (NASDRA) has advised Nigerians not to panic over the lunar eclipse which occurred on Monday morning. Benjamin Ayetunji, NASRDA Chief Scientific Officer (Engineering and Space Systems), gave the advice in an interview with the News Agency of Nigeria (NAN) in Abuja. 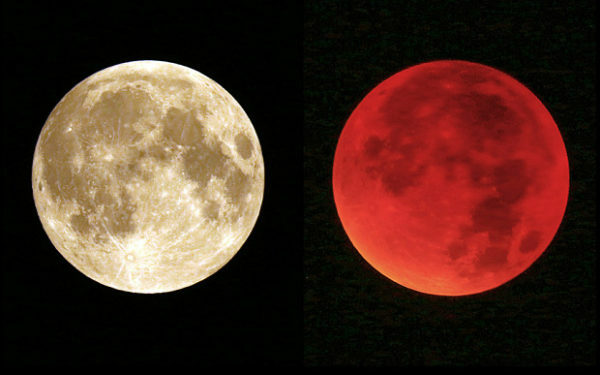 Ayetunji explained that the lunar eclipse is an astronomical event that occurs when the earth comes in between the sun and the moon and the earth cast its shadow on the moon. He said that lunar eclipse occurs when the earth’s shadow blocks the sunlight, which otherwise reflects off the moon. He said there was no myth attached to lunar eclipse which is just an astronomical event and urged Nigerians to just watch and appreciate science. “There is no myth attached to lunar eclipse, it will even shock you to know that it happens every month when there is full moon depending on the location. So, for example, as we are observing it here on Monday Sept.28, at that same time some locations on earth will be on the day side of the earth. Because of that they will not see the moon talk less of observing the eclipse, that’s just the simple explanation why we do not see it every time. In a layman’s explanation, let us assume you are standing in front of a light source; of course your shadow will be behind you; now if there is any person behind you, your shadow will be on that person. Simply put, that’s what happens in lunar eclipse; it occurs because the earth comes in-between the sun and the moon so the earth casts its shadow on the moon thereby covering the moon. So what you see as the lunar eclipse is the shadow of the earth on the moon and it appears reddish that’s why it’s called `the blood moon,” he said. Ayetunji said that the frequent occurrence of the eclipse had nothing to do with global warming or anything falling out of place as alleged by most Nigerians but because of its periodicity. He said the simple explanation of its occurrence “is that in science we know that the earth goes round the sun but the axis of the earth is not as we see it in diagram as being flat’’. Ayetunji said the earth is inclined at an angle relative to the moon and because of that there might come a time when it would begin to happen frequently. He said lunar eclipse had no side effect as was the case with the solar eclipse and people could view it directly. “The reason we advise people not to view the solar eclipse directly is because ordinarily because of the luminosity of the sun you can’t look at the sun with your naked eye. But when solar eclipse occurs you may be tempted to view it directly because you think it’s dark but that sun brightness is still there and can piece your cornea. In the case of the lunar eclipse you look at the moon always and it does nothing to your eyes so when the eclipse occurs you are still free to look at it there is no side effect to that,” he said. pls tell them oh before religious people A.K.A lunatics start screaming end times, God is angry blah blah blah, the moon is full of blood blah blah blah.